Another horrible street flooding after heavy rains last Wednesday afternoon, October 1. Photo from interaksyon.com. Does garbage cause flooding? Has there been a study done proving that? By who? I constantly hear politicians blame flooding not on them or the government but upon garbage. I have never seen a single reference to any proof of that. It’s been asserted and repeated. Has it been proven? Good questions by Bruce. And I think what causes or contributes to frequent street flooding is not so much the floating and new garbage but the decayed and old garbage that have settled in sewerage bed. Thus, for a 3-feet diameter drainage, if half of it is already occupied by soil, mud, stones and various solid waste, the water-holding capacity of drainage is cut by half. The excess water goes to the streets, and we have frequent street floods. The same problem applies to creeks and rivers, especially in central Luzon rivers as many of them were heavily silted by Pinatubo's lahar. So the single most important solution to frequent street flooding is large-scale and sustained dredging of those drainage, creeks, esteros and rivers. That is another rational explanation. Yesterday morning when I got off from a bus at Crossing-Edsa, front of Shangrila Mall, I saw about 6-7 young men and women in yellow MMDA shirts, each carrying a bundle of violation tickets. Their job? penalizing and mulcting on clueless people who throw even small pieces of garbage, say a candy wrapper. I don't know how much the penalty is, maybe P200 or more. I asked one lady why they are doing that, she quickly replied "bumabaha na po kasi palagi" (it's flooding too often). Ok, many Filipinos indeed need to be reminded and disciplined about the ugliness of littering so it may be a good move. But if they really wish to control or stop the arbitrary throwing of solid waste that block the drainage, MMDA should have people in boats watching those who live near the creeks, esteros and rivers as many or majority of these people throw not just candy wrappers or cigarette butts, but all sorts of kitchen and household wastes, and give violation tickets. Can MMDA do that? I doubt it. Why? These poor folks have no money to pay the penalty. Whereas those who cross Edsa generally have work and have money to pay the fine, instantly perhaps. And thus, instant money for the MMDA. This is similar to those anti-smoke belching units (ASBUs) of MMDA and other city governments of Metro Manila. They harass and penalize private motorists who drive diesel vehicles (passing rate here is generally zero, all vehicles flunk their smoke test) even if these vehicles are clearly non-smoke belchers, but tolerate obviously belching jeeps and buses. In short, those “environmental police” or anti-littering campaigns are mainly money-making projects (extortion with receipt?) 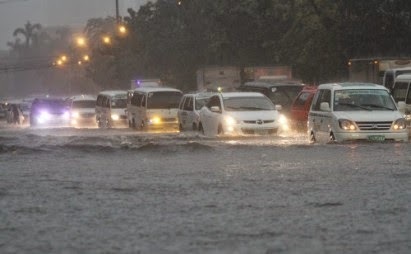 by LGUs incl MMDA, and not so much to control street flooding. 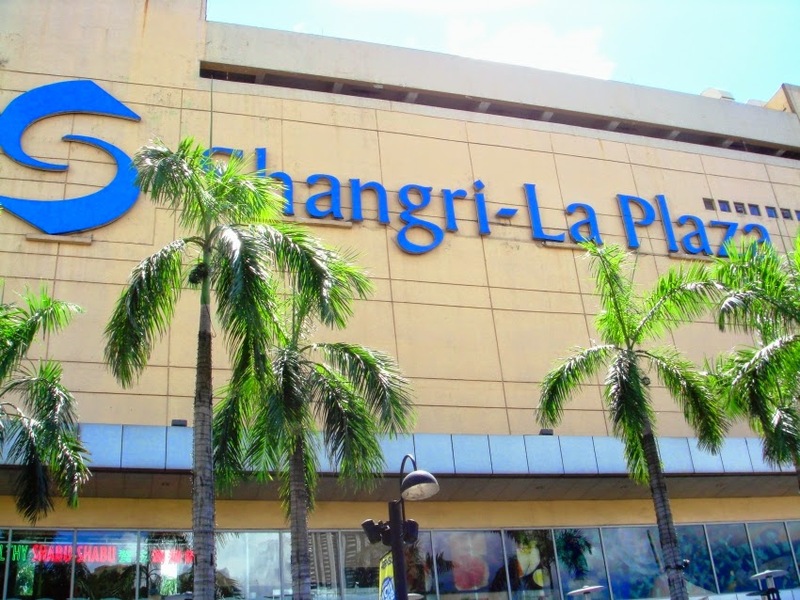 Per sq.m of land in the whole country or even in Metro Manila, Edsa crossing front of Shangrila mall is generally clean. Yet there were 6-7 "environmental police" standing there to enforce cleanliness, with fines and penalties to violators. When I passed by the same place around 2:30pm yesterday (the conference that I attended was at Edsa Shangrila Hotel), the guys were no longer there. I assume they already met their quota of fines for the day. I also assume that perhaps they are ashamed of their work, penalizing people for minor littering while the medium- and big time garbage dumpers are not penalized. Hence, the need to leave their posts quick whenever possible. When government bureaucracies keep expanding, their people's rationality and sense of fairness decline; these are replaced by irrationality and the politics of envy.